I cannot think of a better start into a new year than by taking a closer look at a craftsmanship that cherishes paper and writing. 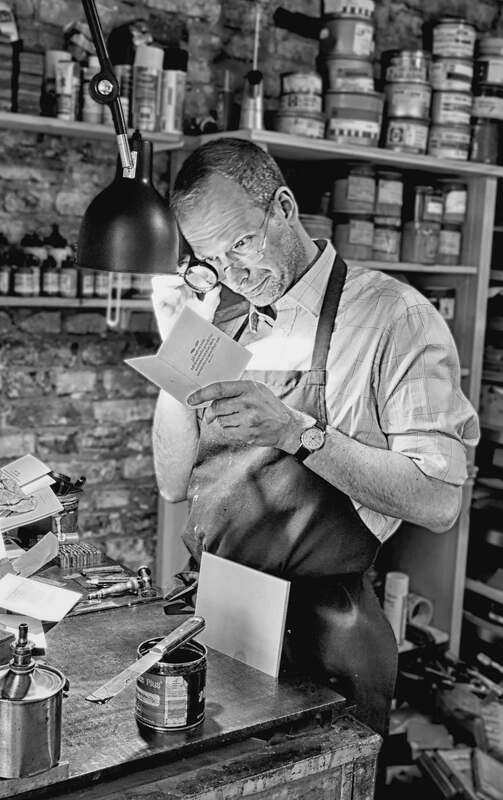 Martin Z. Schroeder is a printer and owner of Druckerey in Berlin-Weissensee. 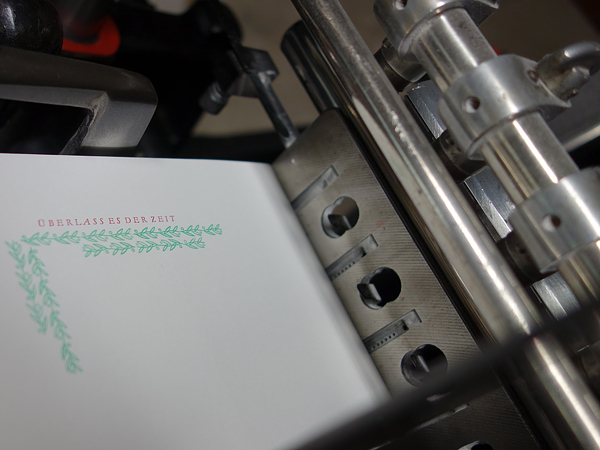 In his studio, he crafts high-quality letterpress products, prints, greeting cards, business cards and fine stationery. A visit. Being here is like immersing into the past. Martin Z. Schroeder is surrounded by paper, old presses and countless types metals in wooden boxes. He is wearing a button-down shirt, a tie, an apron. Two Heidelberg Windmill Presses are ready to start. They form the heart of his studio. 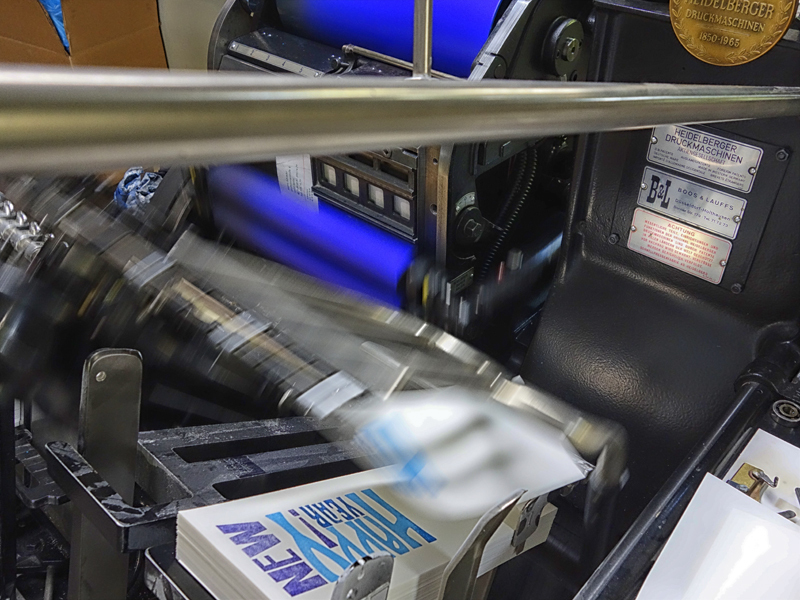 The machines press the metal types into high-quality papers. Fine invitations, exlibris, greeting cards, books, xylographs arise. Druckerey, well-known not only in Berlin, is situated in a quiet quarter of Weissensee, a district in the Eastern part of Berlin. Since 2013, Martin Z. Schroeder has been working in his studio in Meyerbeerstrasse. Visitors who arrive here are welcomed by the neighbours’ cat – and by a secluded atmosphere. Soon it becomes clear that the print master needs a place like this. For, apart from papers, colours, metal types, there is another thing of elemental value here: time. 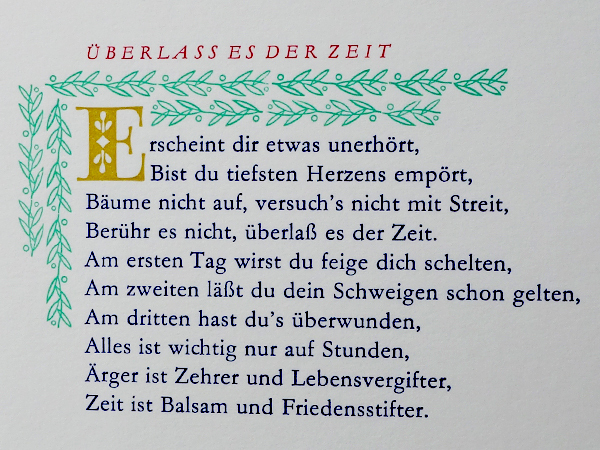 As a letterpress printer, Schroeder represents a craftwork that has become rare among German printers. 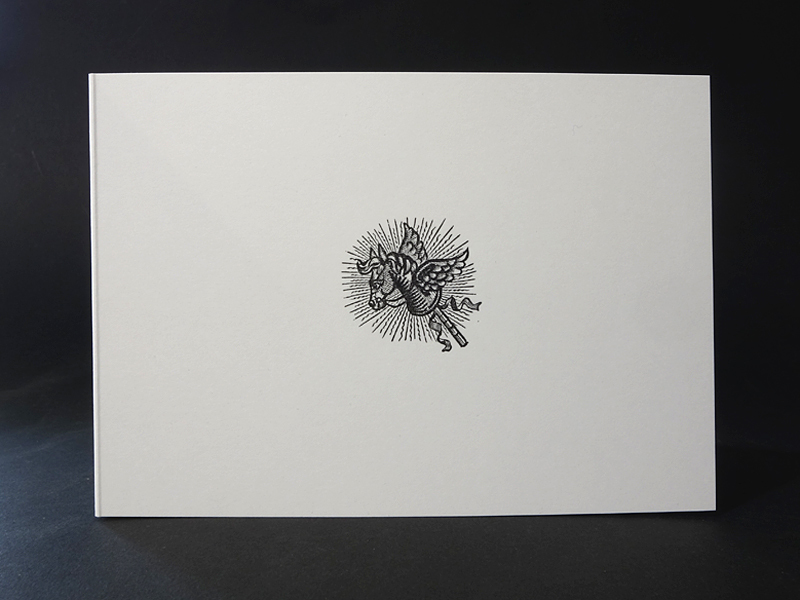 With his Heidelberg Windmill Presses he prints very different products on paper. Addresses, firm logos, motives for several occasions. Some of his greeting cards refer to the works of Goethe, Max Goldt or Theodor Fontane. But that is just a small part of the range. „Types in Garamond, the elegant dance of the capital letters of the italic Garamond in its title” – when Schroeder describes his Fontane greeting card, four colours on a fine Scottish cardboard which is sold with a Belgian envelope made of cotton, dyed of one colour and with tissue paper, the print itself gets its very own lyrics. A marabou, animals of the woods, a hobby horse on paper. Many motives Schroeder sells in his shop were crafted by Hans-Joachim Behrendt. He works as a wood engraving artist in Zingst and has been cooperating with Schroeder for several years now. Animals are near to his heart. Thus, his motives for Druckerey comprise the animals of the woods, their God, Pan, but also some distal relatives like lions – or hobbyhorses. 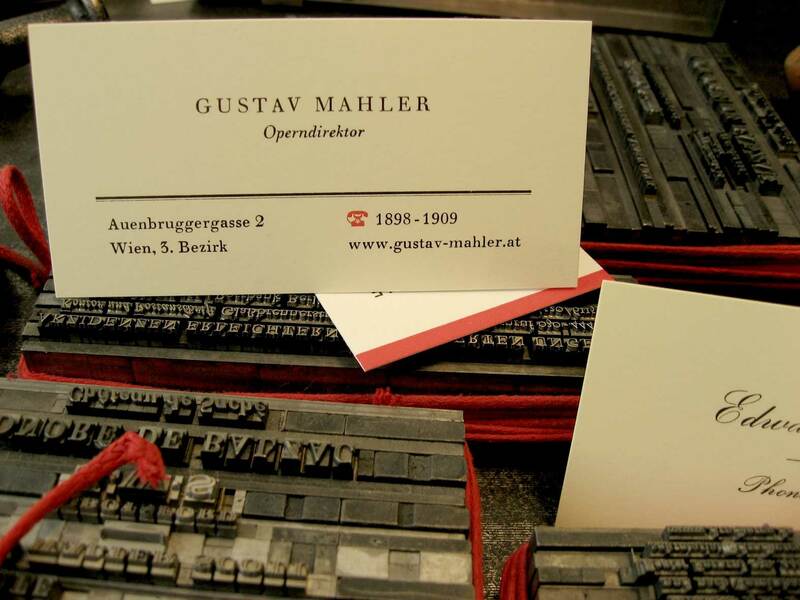 Business cards marked the beginning of his printing career. At the age of 14, Martin Z. Schroeder joined the after school club of a printer at Pionierpalast in Eastern Berlin (DDR). The old man taught the children to print. „I really liked that old master“, Martin Z. Schroeder says. „Normally, adults mainly wanted to educate us, make us better human beings. The printer was not interested in doing so. He just had this love to his craft which somehow devolved to us.” Schroeder discovered his mission. It was his discovery of Gutenberg’s Black Art. 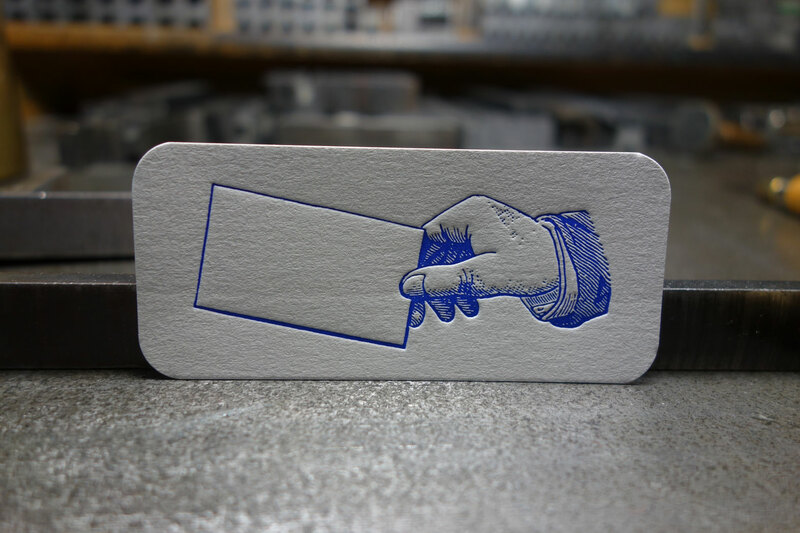 Making use of the old printing press in the print master’s studio in Pionierpalast, Martin Z. Schroeder soon began to supply his class mates and his entire family with business cards, crafted by himself. „At the age of 16, I told my mother that I needed an apprenticeship position for this profession, otherwise she would have a somewhat unsocial son.” His mother was an editor for children’s books at a publishing company. She soon found the apprenticeship position. Her son learned the profession of a typographer and letterpress printer. 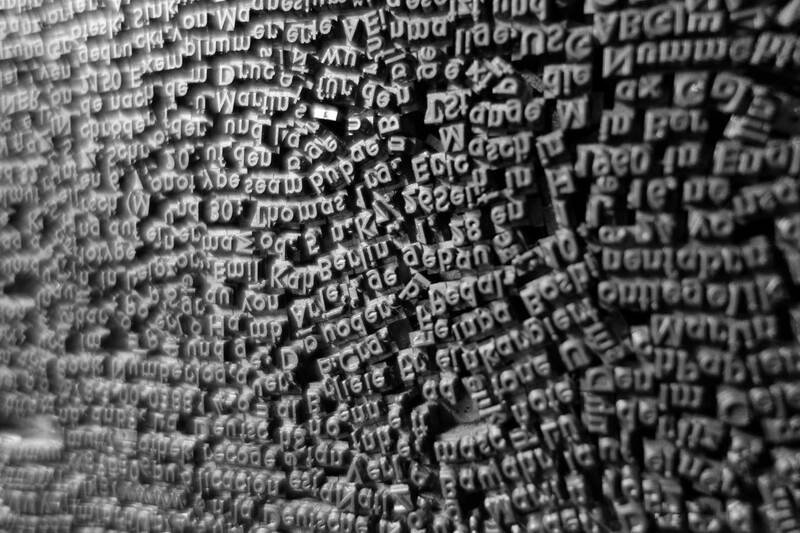 Martin Z. Schroeder spent many years as an employed printer at a printing plant in Berlin. It was a piece-rated job, beginning in the early mornings. He got used to standing during work. His days ended in the afternoons. But knocking off work didn’t feel like that. His feet hurted. „In my mid-twenties it was kind of poor to be so tired in the evenings,“ he remembers. Thus he began to accept first offers for print works he then processed at home. In 1994, he bought his first own printing press and put it into his apartment. Years later, in 2013, he opened his own studio in Berlin’s district of Pankow before moving to Weissensee the same year. A step which marked the beginning of Druckerey. 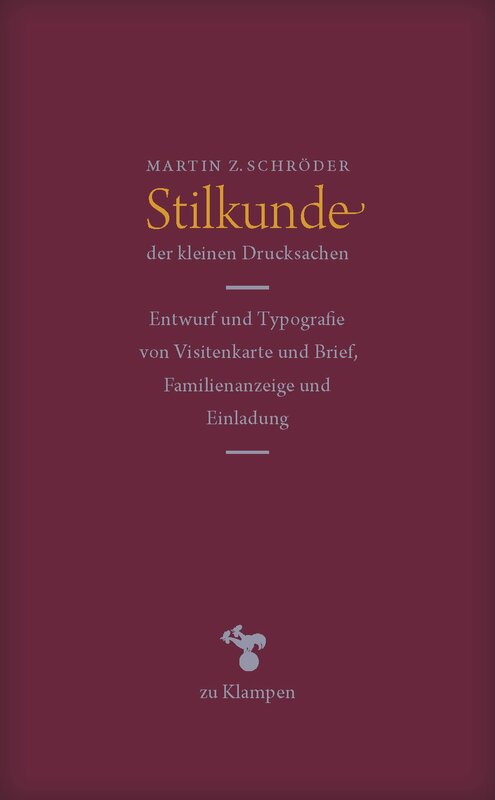 Nearly all products Martin Z. Schroeder crafts refer to the art of letterpress and to poetry and includes special motives. His greeting cards and prints come in small editions but with a strong demand. 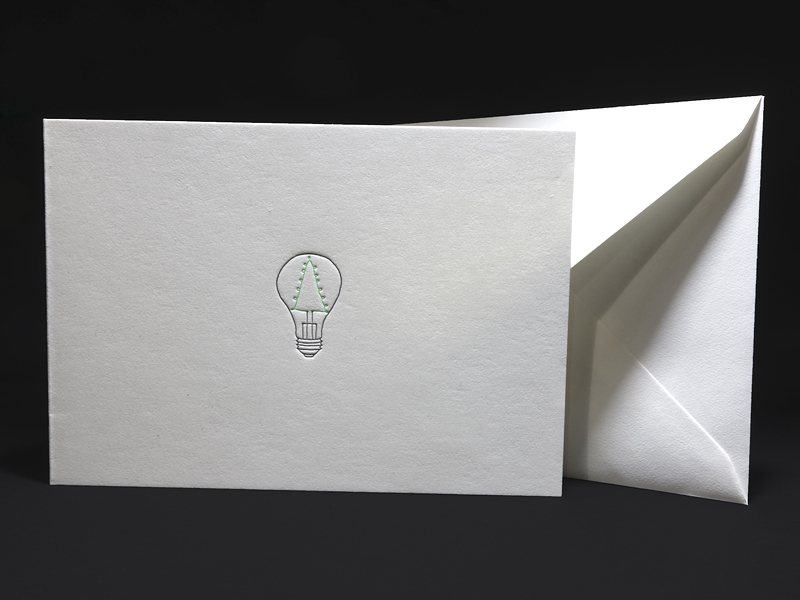 At the moment business cards are among his most popular artefacts. Over the years, they have become objects of art. „Years ago, taking in orders for business cards took me about ten minutes and another two hours in production. Today I need several days for the same processes,” the printer says. 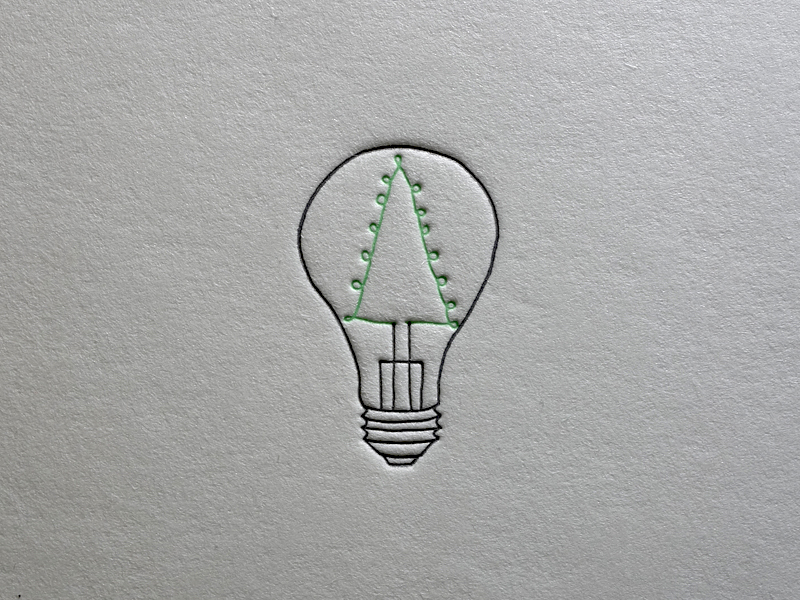 First drafts are followed by the embossing and several other steps of the printing process, depending on the customers’ wishes. „But this isn’t a new phenomenon. 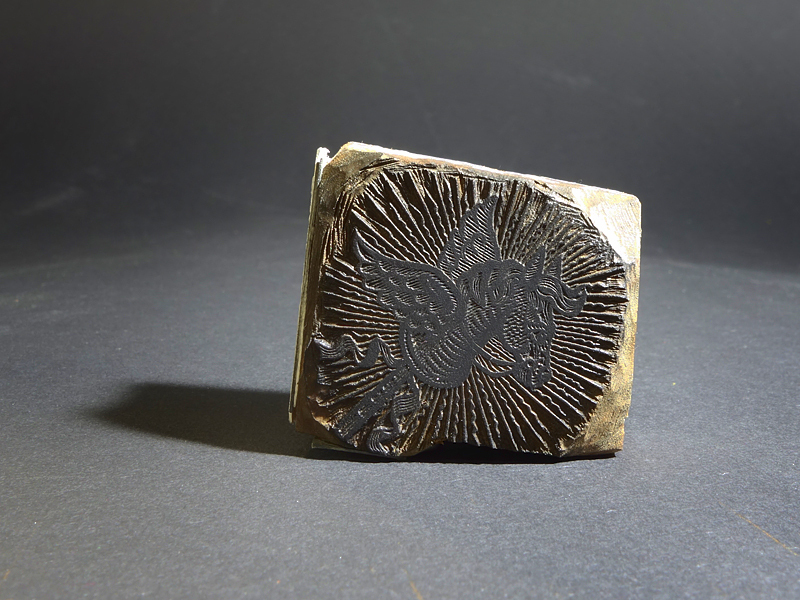 It was around 1830 that rich ladies used to order business cards from wood or steel engraving artists. They wanted cards with ornaments to spotlight their special status and prestige.” Nowadays Martin Z. Schroeder often crafts up to 12 drafts before a customer is d’accord with it. Zugleich ist Druckerey modern. 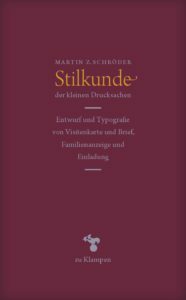 Schröder hat digitale Schriften in seinem Schriftbestand. Er schreibt einen Blog, führt einen Onlineshop. Und kooperiert nicht nur mit Hans-Joachim Behrendt, sondern auch mit Künstlern wie dem dichtenden Schauspieler Franz Dinda. Der entwarf vor einigen Jahren eine Grusskarte mit dem Titel “Aus Überdruss an Emails”. Schröder nahm sie in Serie. Andere Motive entstehen mit der Künstlerin Barbara Wrede. „Dazu gehört eine Glühbirne, ursprünglich für eine Lichtgestaltungsfirma entworfen, die diese zu Weihnachten an ihre Kunden verschicken wollte“, sagt Martin Z. Schröder. Er mag es, wenn Firmen sich Gedanken darüber machen, wie ihre Post sie repräsentieren soll.